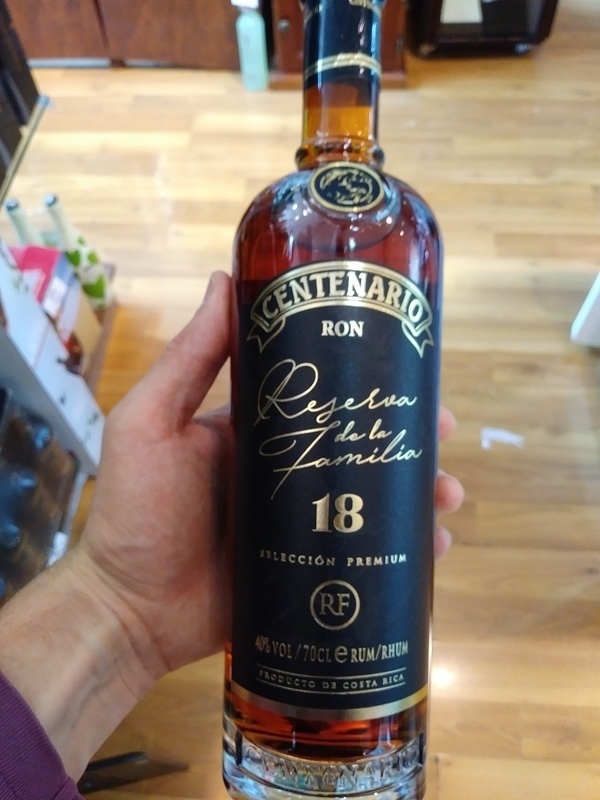 Have you found an online vendor selling Ron Centenario 18-Year? Enjoyed this much more than Centenario 20 yr. Very close to 25 yr.
Bought a bottle of Ron Centenario 18y at the San Jose airport in Costa Rica when heading home. I have never seen an 18 year old Ron Centenario being offered anywhere, so it has to be a brand offering. $29 a bottle versus $32 for the 20y Centenario at the tax free. Bottle and label design is much nicer than the 20y. Dark and deep color. The initial flavor is very nice and complex, but the taste turns into whisky like very quickly. Mild burn at the end. By the end of the day, this is super close to the Ron Centenario 20y rum, which is not a bad thing.